Detective Jeffrey Shouse says the most common age for a kid to join a gang is somewhere between 13 and 15, and according to his count there are 43 known gang members in Duval County schools. Brown says she’s not an expert, but she knows enough to urge tonight’s attendees to take action. For one, admit when your neighborhood has a problem. And, most importantly, report gang activity to police. Detective Jeffrey Shouse is the only Duval Schools police detective dedicated to gang prevention. He says the most common age for a kid to join a gang is somewhere between 13 and 15, and according to his count there are 43 known gang members in Duval County schools. Youth advocate Renata Hannans says she thinks the number is actually higher. But she says, in her experience, gang activity isn’t as organized as it is in movies. Demetrius Nelson says he’s seen warning signs in his own students. He teaches fifth grade at West Jacksonville Elementary. But he says he tries to build a family for his students, so they don’t end up in a gang at 13. Empowering communities to take control over gang violence is the goal of a public forum happening Monday evening on Jacksonville’s northwest side. Three county School Board members are leading the meeting. District 4 School Board member Paula Wright says people should come to Monday evening’s meeting ready to listen and take notes. 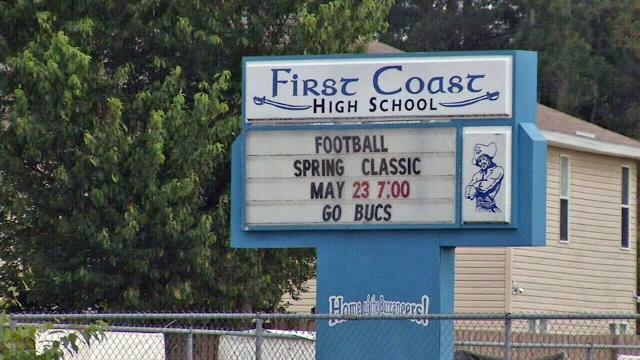 JACKSONVILLE, Fla. - Concerns are growing among parents of First Coast High School amid rumors that someone is planning a shooting on campus. Social media posts indicate there will be a gang-initiation shooting at the school this week. Last week, Duval County Superintendent Nikolai Vitti sent robo-calls to parents' phones that there would be additional police presence and possible searches and other security measures. 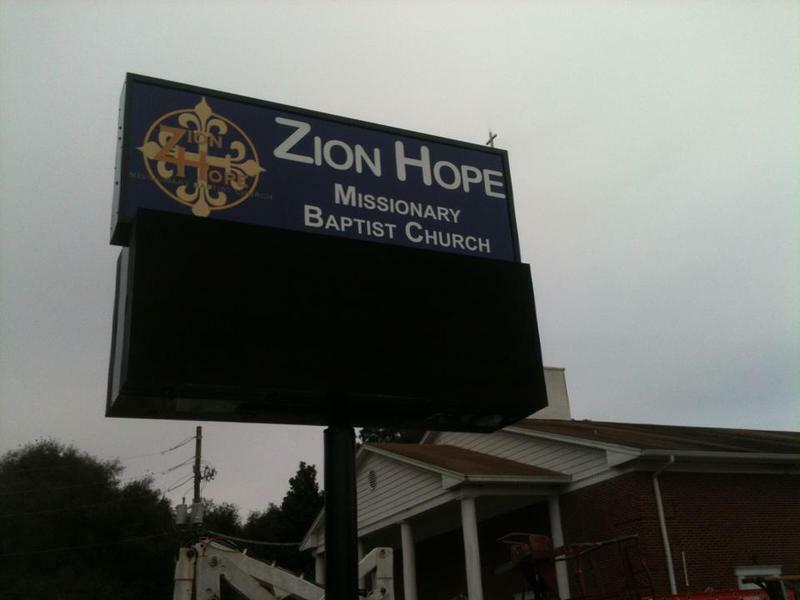 A recent surge in gang violence has Jacksonville city officials scrambling for solutions. The mayor and sheriff are pushing separate initiatives to attack the problem. 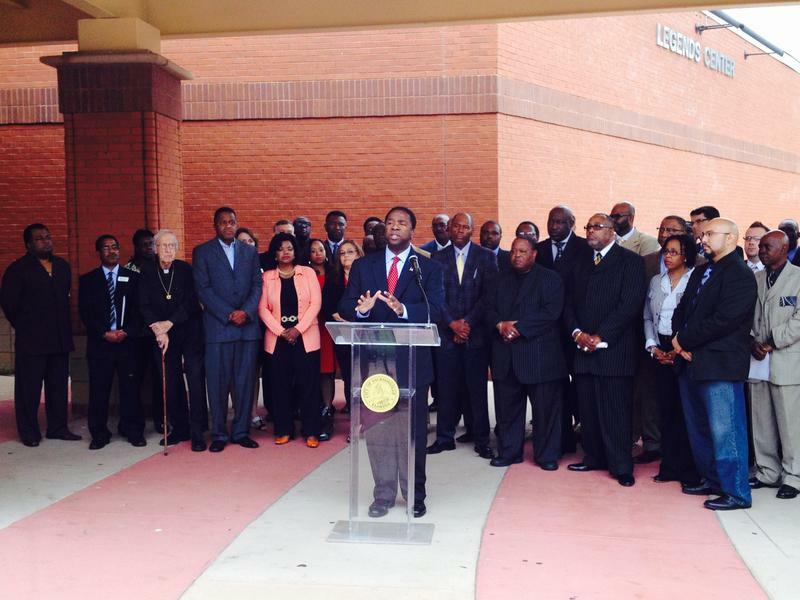 Jacksonville Mayor Alvin Brown made his announcement Wednesday at a Northwest Jacksonville community center surrounded by clergymen. “Enough is enough. We are not going to tolerate the violence in our city,” Brown said.